IBM Domino can be silently installed and also silently configured through script. 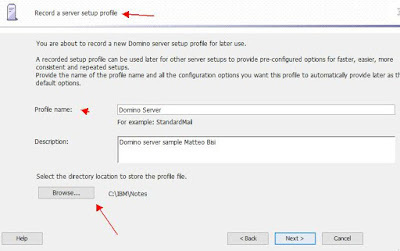 Inside the domino setup package IBM provides a file named unix_response.dat and if you like to setup an Enterprise server , in default path with default users you can basically use that response file as is. /bin/bash -c "/tmp/sw-repo/install -silent -options /tmp/sw-repo/unix_response.dat"
Silent setup was a little bit more complicated because we have moore to generate a recorded server config , copy that file with the ID's involved toghether a txt with the pw to the data and than run the silent configuration. One way to generate the recorded config, (a PDS file) is runneing the Remote server setup utility with record options. After that you will be asked to usual questions like server name, admin, OU , etc. At the end of setup you will obtain a file.pds that is what you need. If you are adding a server though existing Domino env you have at least provided an existing ID and certifier so you have to insert all password involved inside a txt file named like the pds file. In this case i've provided the pw of the admin of an OU certifier and of the main certifier that i've involved on my recorded setup. 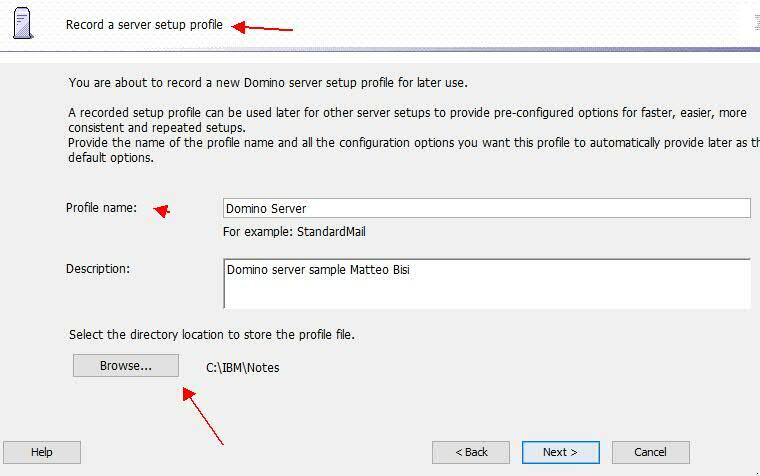 su notes -c "cd /local/notesdata && /opt/ibm/domino/bin/server -silent /local/notesdata/serverconfig.pds /local/notesdata/serverconfig.txt"
after some minutes you will have the Domino configured.